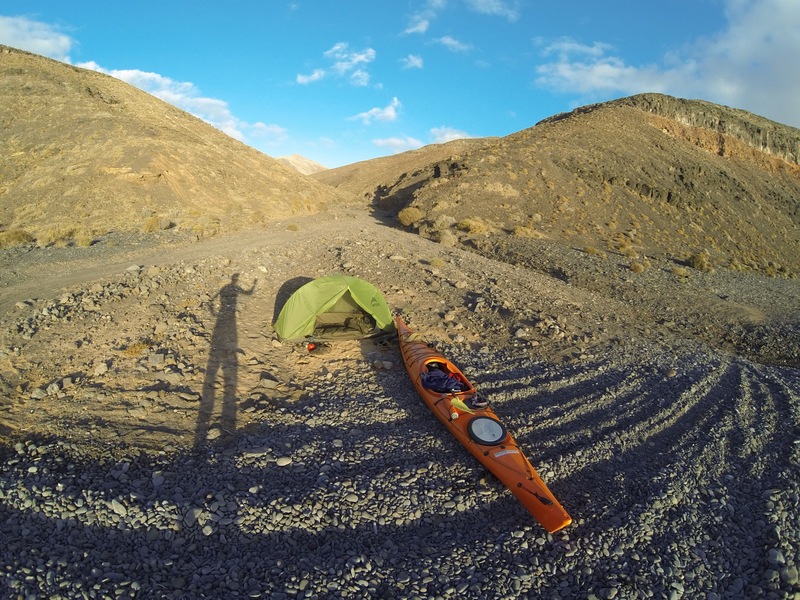 During august 2013 I decided to go for a solo kayaking trip to Fuerteventura and Lanzarote. These are Spanish islands part of the Canary Islands, located just off the northwest coast of Africa, 100 kilometers off Morocco. 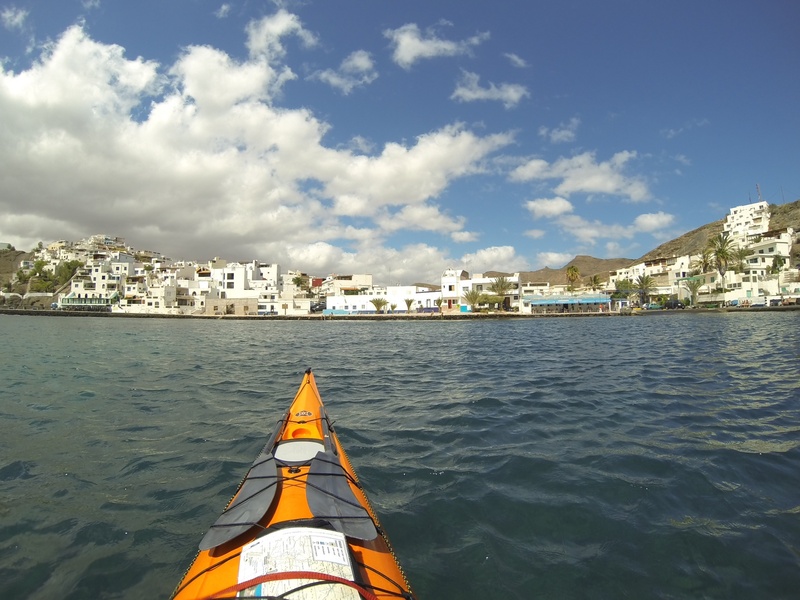 The guys at Kayak Fuerteventura, helped me plan the trip and rented me a kayak and paddles. Everything else I brought from Norway. 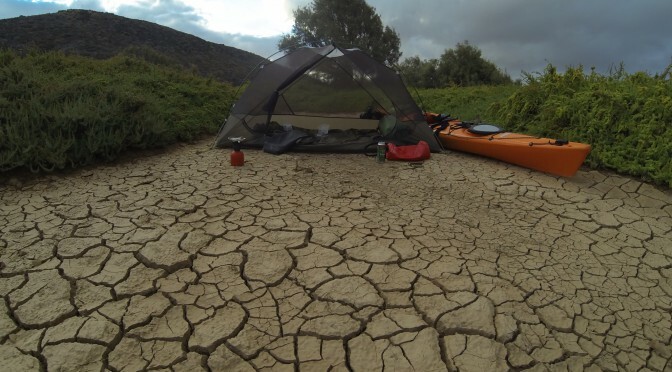 This of course included a tent, sleeping bag, sleeping mat, freeze dried meals, clothes, kayaking gear and various other stuff necessary to live off the grid for a few days. 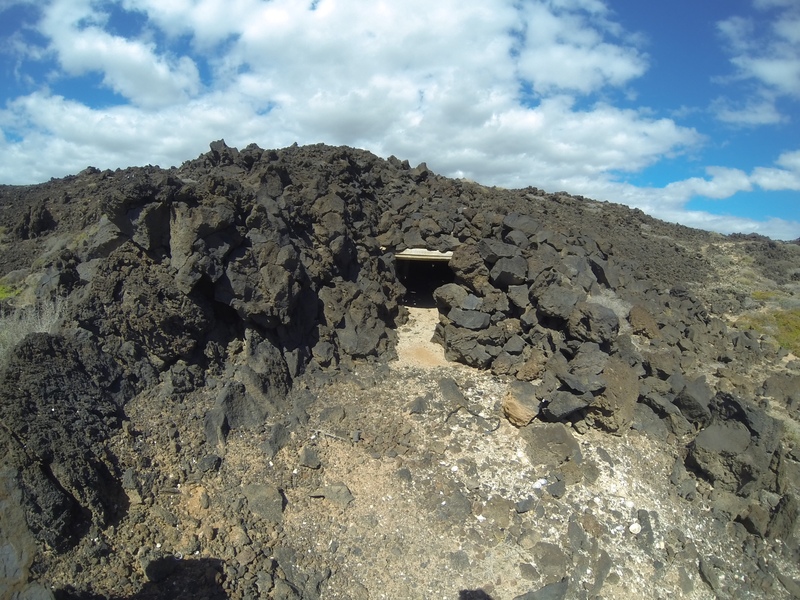 I had to buy a stove and gas canister in Fuerteventura, as the one I brought was not compatible with the canisters available in Fuerteventura. The weather forecast was good for the next four days. However, as I was to find out, the wind would pick up and the waves would be a challenge. The tide difference would be about 3 meters as it was full moon during my kayaking trip. This I did not consider a risk on this trip. My main concern was wave height, breaking waves and wind. Fuerteventura is known as a haven for wind sports, but high winds would mean big waves and at best hard work, and at worst dangerous conditions. The east coast is in general more protected compared to the west coast, where the coast is more remote, has fewer landing spots, is less populated and more exposed to the sea. 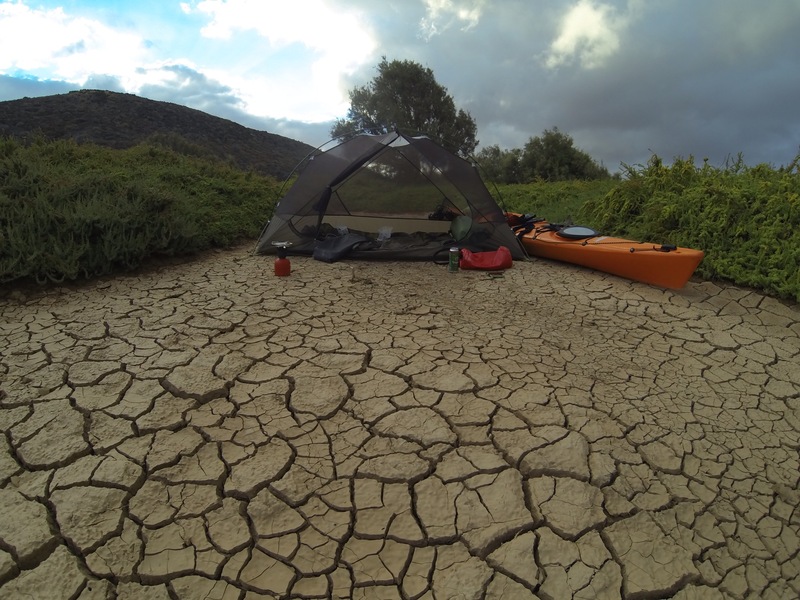 Truth be told I want to paddle the west coast, but this is an expedition not done alone, but with a group of experienced paddlers. 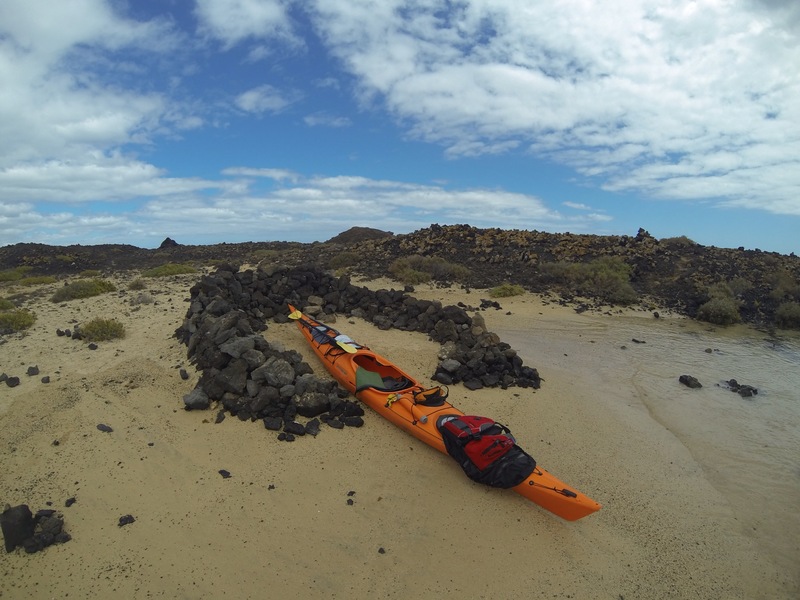 My plan was to paddle from Corralejo in the north, over to the south east coast of Lanzarote. I would then return to the sand dunes south of Corralejo and be driven down to Las Salinas and continue on to Las Playitas in the south. The main reason for the drive, was to avoid the less scenic part of the east coast. 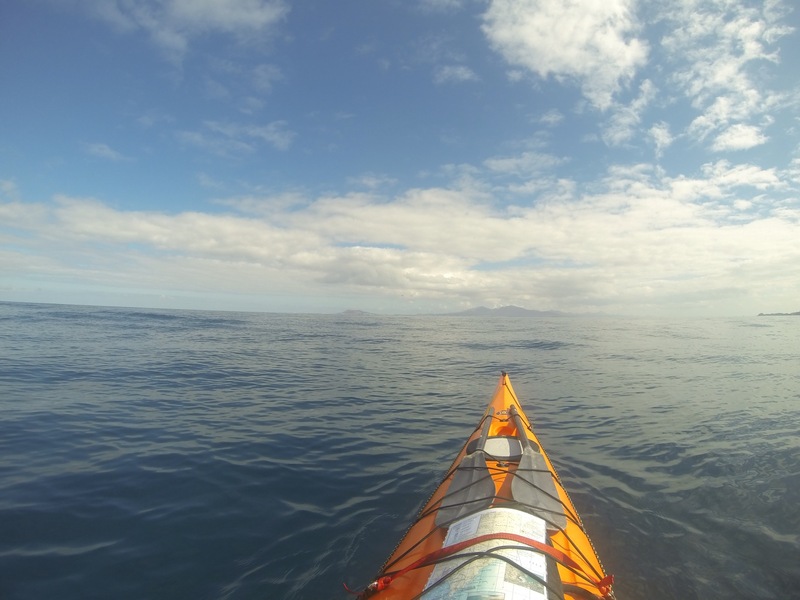 I began the crossing over to Lanzarote in perfect conditions with very calm waters. The crossing is about 12 kilometres and took about 2 hours. 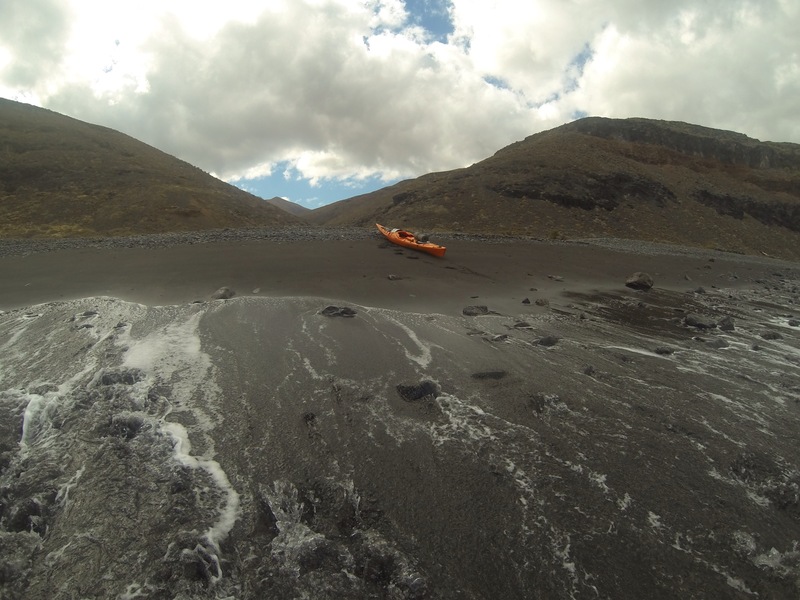 I followed the craggy, steep and wild coast until I reached a black beach located about 1 km from the village of Playa Quemada. 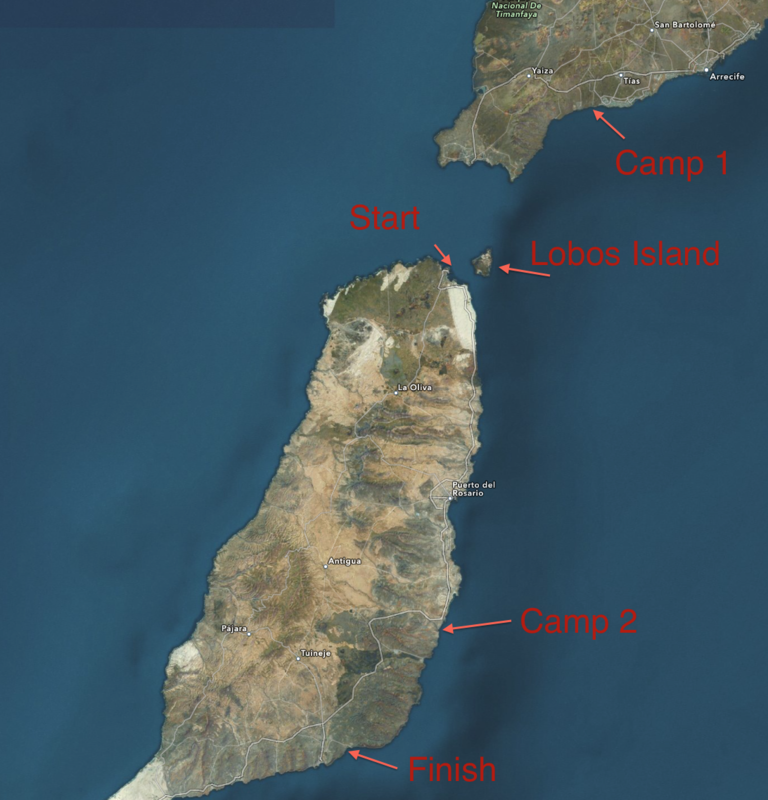 I returned the next day to begin the crossing back to Fuerteventura. The wind and waves had picked up and I also hit a current moving east. 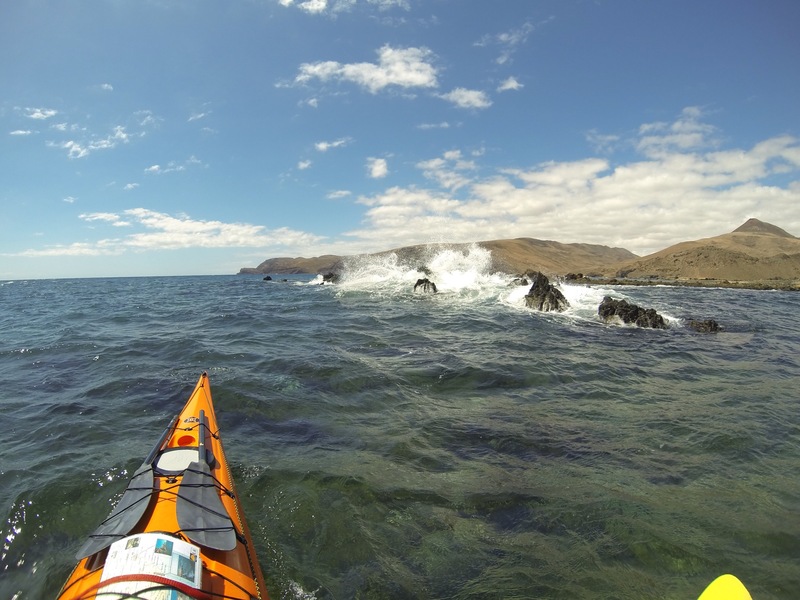 There was a belt close to Fuerteventura where the current was faster and the waves were taller, compared to other places on the crossing. I did feel very small and at some times stupid to expose myself to such conditions. The waves were about 1,5 meters and some were breaking. Looking back I realise I was outside my comfort zone at the time. The risks were in fact higher than what I was comfortable with handling. 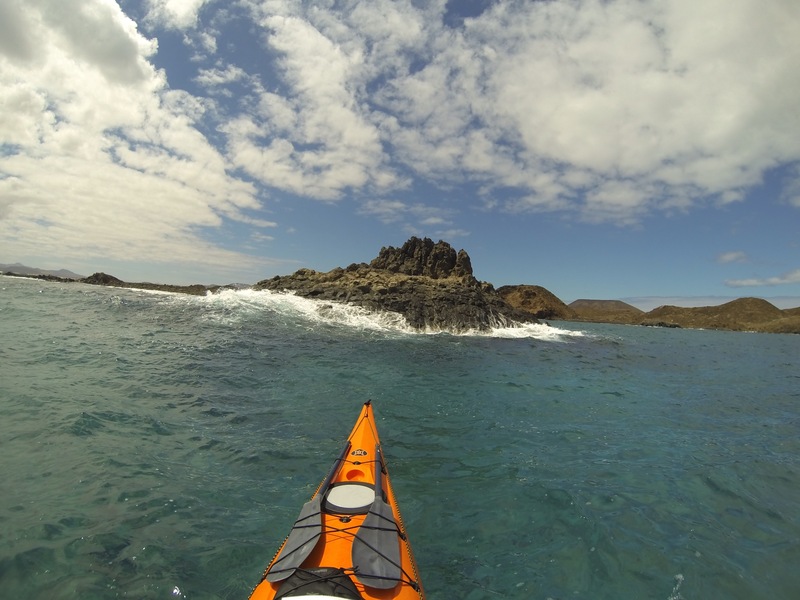 In any case I was glad to reach the small island of Lobos, northeast of Fuerteventura. 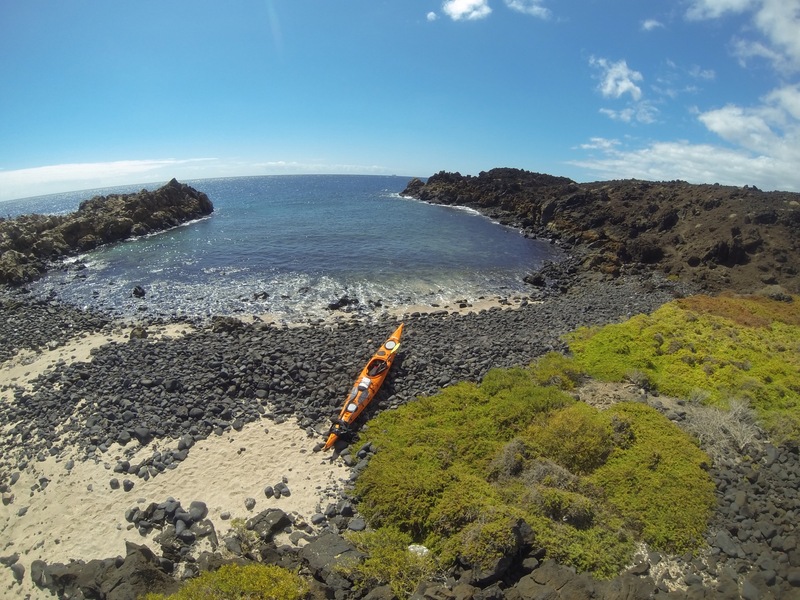 I landed at a sheltered beach, where I met up with Jorge and Juan from Kayak Fuerteventura for a summary of the trip so far. They were there guiding tourists in kayaks. After an update on weather we departed and I headed on towards the sand dunes on Fuerteventura. I met up with Juan, who drove me to my campsite where the road ended, south of Las Salinas. The full moon was shining bright and the desert landscape was glowing in its silvery light. It was great sitting there, reflecting on the trip so far. The next day the 1,5 meter waves and strong wind was back, and I had a bumpy ride until lunch time at a wild area called Jacomar. After passing Jacomar the waves and wind calmed a lot down, making the rest of the trip a lot more enjoyable. The landscape was getting steeper and taller. It almost reminded me of the steep fjords we have in Norway, except the landscape here was dry and brown instead of green and wet. 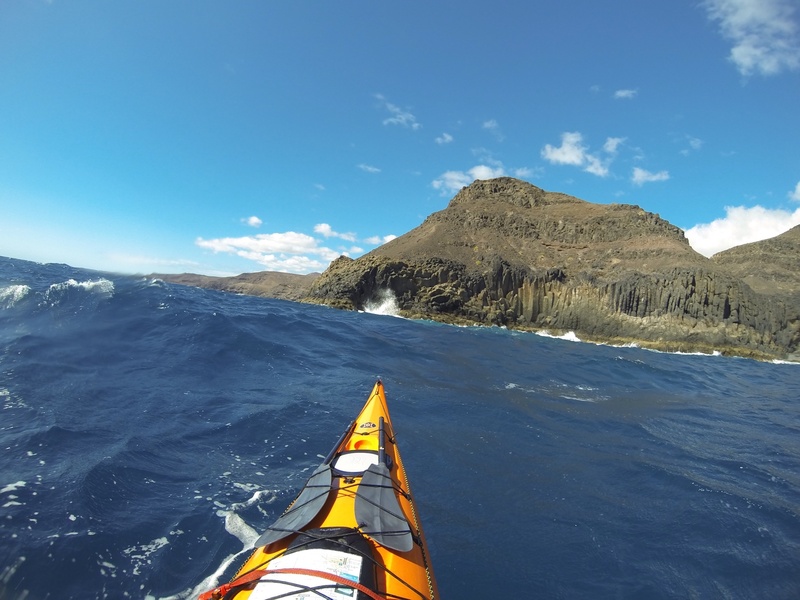 For a change I received some following wind and sea on the last stretch before Las Playitas. I was paddling along at about 10 km/h, double of what I normally do. I arrived at Las Playitas and Jorge picked up the kayak later that day. 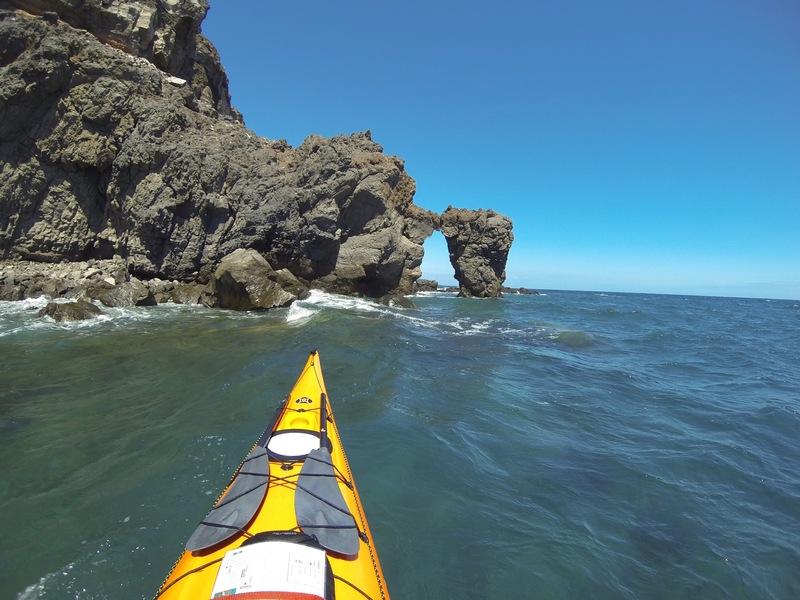 Fuerteventura can be a really challenging place to sea kayak. I`ve explored parts of the west coast on foot, and it is wild! 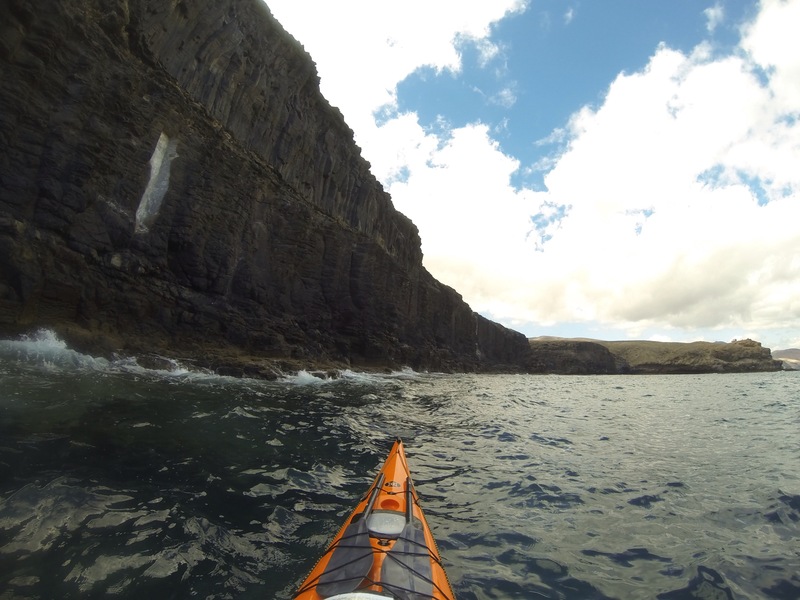 A sea kayak expedition there is on my bucket list. I just need someone else to join me for a week or so.